The Ant & Mike Show - "We Do More Than Gossip": Wanna Know How it Feels to Lose $9.6 billion in 3 Months? Wanna Know How it Feels to Lose $9.6 billion in 3 Months? Ask this guy. 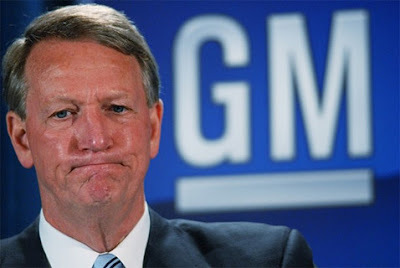 GM reported that they lost $9.6 billion in the fourth quarter of 2008, and $30.9 billion for the year. They also said they're burning through about $90 million per day at this point.